PAX East is underway, and we can expect some tasty new reveals over the coming weekend. One is completely out of left-field and likely to delight retro fans — published by Capcom and developed by WayForward, DuckTales: Remastered is coming to the Wii U eShop (and other platforms) this summer. The original DuckTales on NES is regarded by some as a stone-cold classic, with action platforming and non-linear exploration combining with gorgeous pixel-art and a memorable soundtrack. It's one of those games that most are encouraged to play at some point in their gaming lives. The money of Capcom and the 2D credentials of WayForward bode well for this modern remake, as it seems to be. We can't wait to learn more, but for now you can check out the trailer below and see it in action. Yay! I heard this was one of the NES's best games! I will definitely get this for Wii U! I think I have duck tales on the GBA, maybe I should play it. Maybe after this they'll consider remastering all of the other DA cartoon games? I'd love for them to do it for Rescue Rangers and Darkwing Duck. I sadly (or at least have no memory) of ever playing this game, but I'll definitely download this for the Wii U. Summer can't get here quicker! "READY!? SING A LONG!!" As soon as that song came on, It was a hit from a Nostalgia Bat. Impressive capcom. IMPRESSIVE. Wasn't expecting this. Day one buy for me! And as TwilightV said, they should also remake Rescue Rangers and Darkwing Duck. Is it a remake or a new game? Why does the title say "All New DuckTales" if it is a remake? I jist read that a new MEGA MAN GAME WAS ANNOUNCED BY CAPCOM AS WELL.THE BLUE BOMBER IS BACK! !! You know what would be even better? If the soundtrack was done by Brentalfloss. I would pay a full £40 for that game. Hmmm not to sure on this one, the theme song took me back a few years though!!. I take it its an eshop release? Oh my god. This is amazing. Damn Ducktales is getting a remake by wayforward. 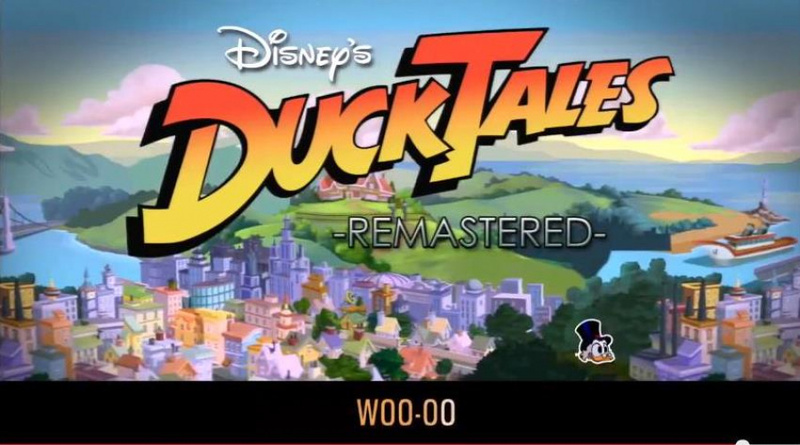 Ducktales + Wayforward = Awesome soundtrack. Might as well put that here. That looks awesome, although I actually would love just a Wii or 3DS download of the original. Duh... What am Is to at? I think Capcom should have released their old Disney games on Virtual Console rather than do this remake. The only thing holding them back before was that they didn't have the license, now they do (probably temporary though). C'mon Nintendolife. It's not April Fools yet. How freakin' awesome is that?!? DuckTales making a WayForward developed comeback...?! ....is this real life? o__O FREAKING OUT. Ok Capcom, you can stop teasing us now. Capcom does something good for once! I remember being really good at the original game when I was a kid. I just dug it out and I am finding it really difficult! If the whole game is that funny, count me in. I can't believe this, it made me teary eyed, WayForward makes me so happy. YES!!! Can't wait. Here's hoping they do other disney capcom remake. Like chip and dale, dark wing duck, aand mickey castle of illusion. Please come to the 3ds. It's a better fit if you ask me! This is awesome! Finally get to try this. PS, Capcom IS developing this as well. Wayforward and capcom are both developing. Cant say I saw THAT coming. WOW!! Just WOW!!! One of my favorite NES games! I'm so unbelievably excited. I think Capcom ist trying to win the good graces of their fans again. Their last 2 years were horrid! Good job, Capcom! I never thought this would happen! AMAZING!!!! omg! THAT'S AWESOME! This has to be one of the most unexpected announcement, ever. I'll be getting this, no doubt. Life is like a hurricane, here in Duckburg! Race cars, lasers, aeroplanes, it's a duck blur! You might solve a mystery, or rewrite history! Tales of derring-do, bad and good luck tales, WOO HOO!! D-d-d-danger, watch behind you. There's a stranger out to find you! What to do? Just grab onto some Duck Tales, WOO HOO!! Not pony tails or cotton tails but Duck Tales, WOO HOO!! Bold deduction never fails, that's for certain! The worst of messes become successes! This is kind of fantastic. I'm struggling to understand what the game actually is: New? Remake? Digital? Retail? But I'm terribly excited regardless of the answers. well this is a shocker!!! Great news but it looks weird. Characters and surroundings don't blend very well. And the former are well drawn but too modern? I don't find the words to describe it correctly, sorry. The worst thing is that it's probably not going to show on the 3ds, just WiiU. Anyways, I'm still psyched about it. Hopefully they'll release the old ones as downloads too. The Moon Theme in HD is something I definitely look forward to. Or...you could just buy a WiiU! This has got to be an early April Fools' Day joke...right? Yeah this makes millions want to go buy a Wii U now right ? Not sure these people have a clue at all. @MERG Still say its a better fit for the 3ds! Can't see it not happening really! Watching the video and listening to the soundtrack made me cry of joy! It looks fantastic, with kind of a Paper Mario look. AWESOME! I can't describe how amazing that is! DuckTales woooohooo! This came out of no where.. Can't say I'm not excited though! But fu.., they should give us a 3ds version too! Gonna be busy this summer. Wow, Brings back good memories. ah so it literally is just a remake of the first game, well that's cool, the first game was uber-classic and a must-play for anyone who has basically ever played NES at all. New Ducktales? Wayforward? Capcom?!?!? Is this some sort of April fools joke? It's pretty rare I get so bowled over and delighted by a gaming announcement. UN. FREAKING. BELIEVABLE!!! haha. I'm excited so much for this one. I'll be singing the theme the rest of the day. Got a good laugh out of everyone else's reaction on here too @TheBlackDragon "No. Friggin. Way"
I'm starting to think we are all dreaming. Haha, I was instantly sceptical when I saw the screens, it reminded me too much of the horrid Turtles in Time remake. But the trailer gave me a good feeling, and the gameplay looks solid. Teehee, it would be awesome if they included other language versions of the theme song! Hope they release this and other Ducktales games on 3DS since I cant get a Wii U now. I love Ducktales tv show, this is fantastic! The theme song made me too happy. @Moshugan - I'd be up for some alternate languages for that theme song.. many of our cartoons were (terribly) dubbed, but we loved 'em all the same. Nice, had the Nes game when I was a kid, now the theme song is stuck in my head. When I first read this, I thought for sure it was an early April Fools joke. I am so glad I was wrong. DuckTales is one of my ALL TIME favorite games. THANK YOU CAPCOM! i remember playing the original and watching the cartoons as a child, i must be made of dust. Here's hoping after this Chip n Dale, Darkwing Duck, and Goof Troops aren't too far behind! Frankly, you guys asked for it, here on Capcom-Unity. That's why. About two and a half years ago I started working toward this with Disney because people here kept asking for it (and because I'm a fan too). About a year and a half ago I completed the general outlines of the deal. Disney was on board (and really excited). I then sold the whole concept of the project to Japan as we took it through greenlight. Wayforward was actually Disney's suggestion given their creative director's LOVE for the original and after we did due diligence we totally agreed. Matt Bozon is a star and their experience with Shantae and Mighty Switch Force made them the right choice. Jake K. ("Virt") on the music was also a deal sealer for us. They've been wonderful to work with and we've kept this title very underwraps, even internally. For example, I don't think anyone in Japan has even seen a build at any point so far (maybe until today ). As for the future, I'd like to not get ahead of ourselves. I'm thrilled at the fan response this morning but for the moment, we're going to stay focused on making this project a success. If it works, we can think about other opportunities later but let's not put the cart before the horse. @Bass_X0 Thanks for that! Capcom Of America is really killing it today! I played this so much as a kid. Thank you Capcom and Wayforward!!! Wow, probably the most comments I've ever seen on an article on this site haha. This is great news though! I remember playing the original games and I loved that show when I was a kid, plus Wayforward is a solid developer. That adds up to goodness. Don't you do it Capcom, don't you dare make me fall in love with you again. Nice but the trailer looks a wee bit devoid of soul. The original is king. Always will be. I misread the title and thought Duck Hunt was coming to Wii U. If only both games could come out. Just realized this is coming out summer before all the big games of fall. And before Rayman..... Which one, which one? Absolute, day one purchase. DUCKTALES. I'm still freaking out. Forget wind waker remake. This is the all-time gaming fountain of youth remake. Wayforward and Jake Kaufman are the best for the job. awesome news! But not quite as awesome as a Mega Man 11 announcement. At least this is a lot more suprising. Nobody expected this! @JayRydah Don't get your hopes up. UPDATE - Now Capcom is saying they didn't confirm a new Mega Man. Capcom says that their company is having "ongoing discussions about Mega Man," but it "won't announce anything until something is ready." This sounds like a joke, but I guess not. I might pick this up someday. I like the sprites, but not so much the way they look against those 3D backgrounds. I can live with it, though. joy!!!! dipped in sugar and topped with more joy!!!!! WOO-O! I'm not too sure about the 3D environments, but the sprites look mighty fine. Scrooge could blink once in a while, lol. awww.. way cool! Played this night and day during the NES ages.. This news just blew me away, in a good way! All the feels! My childhood is jumping up and down on the bed, singing the Duck Tales song. ^_^ Duck Tales is one of my prized NES games, and it looks like this has many of the same mechanics! I didn't know Capcom still had the rights to Disney games! Have to wonder if other Disney Afternoon games will come soon. I remember enjoying the NES version quite a bit. However, I'm on the fence with the remake. I don't know, I feel like something is missing. Maybe it's the Flash-style / Paper Mario: Sticker Star graphics that are bothering me. I like the newer design. I'm psyched. This is going to be epic. I love Ducktales. I love Wayforward. What fantastic news. Wow, I'm floored! I hope this will make it's way to the 3DS. Oh man, Off-TV play for this will be perfect. "It will never leave, it will never leave!!" Awesome, can't wait. Love Duck Tales. so whats up with the nes games? NO way! Capcom surprises everyone with this. I remember renting this when I was a kid and being impressed with how well made the game was. Interested to see what they do with it. YES YES YES YES YES YES YES YES YES YYYEEESSSS! @DePapier Or we are freaking old. I don't believe it. I see it, but I don't believe it. I heard so many good things about the original, but sadly I wasn't born when the game originally released. If this game is as good as the original then I'm sure this will be an instant hit. Can you say random?? Awesome! How about a Chip and Dale remake! @Spark_Of_Spirit Goof Troop fo sho! @MasterGraveheart A third Shantae is well on its way. I'm very happy to see this! Even having a remake is great! Super Paper Scrooge, uh, I mean Ducktales! Looks pretty nice though! Quite a surprise! Interesting, I've always meant to play the original Duck Tales on NES, amongst other games so maybe now is my chance. Not really digging the lack of pixels but hey I can always just pick up the original to see those. I'll probably pick it up. I'm not too keen on the rendition of the Main Theme, and I honestly think an HD remake of Duck Tales is pointless. I would have liked them to be as daring as to make a game in the 8-bit style - music and all, because that's how we remember the game. @edhe This one is a remake. Though, it would've been nice to have the original on Virtual Console. I never played the original but this looks fun. I'm not really that into platformers most of the time....but WayForward are very high quality. D&D? Ducktales? I don't know how Capcom have done it but these are the first Wii U games I'm excited for in 2013. Possibly the most left-field announcements ever. I think my pants just exploded. Hello, Mr. Another reason to get a Wii U! Never played the original, but I watched the TV show a lot. I will definitely buy it. i've been skeptical of capcom for the past 3 years, but with monster hunter 3 ultimate, resident evil revelations announced for the wii U, they're in my good books again. i enjoyed the NES game so reading this news, it shocked and surprised me and it's great a new ducktales game is being made. Saw the news first on youtube, and was frankly shocked and almost unbelieving Completely out of left field. How can you possibly expect an announcement like this, especially with the licensing situation? After encountering this bit of news, went through the four stages of grief actually. Denial - The fact that Capcom is actually doing something RIGHT for once - and not only that, reviving my all time favorite Disney cartoon to do it! I was still in disbelief and immediately checked Nintendolife. Anger - Mega Man Legends 3? Mega Man Universe? YOu can do something brilliant like a remake of Duck Tales but you are still mishandling Mega Man? Maybe the new Mega Man game they announced will just get cancelled. Depression - The fact this is the first new "Duck Tales" product since the early 1990s. My favorite cartoon growing up and as an adult my favorite cartoon series ever, why hasn't Disney done anything with Duck Tales in so long? If the success of this game inadvertantly leads to more Duck Tales products being produced by Disney, then Capcom will be forever redeemed in my book. It's been lonely out here in the real world with no Gyro Gearloose or Gizmo Duck to get you through! Acceptance and Hope - YES, YES, YES! 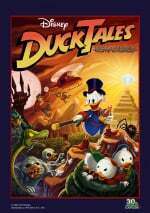 New Duck Tales! Maybe we'll even get a new Duck Tales cartoon! After all, if Disney can make a new TV series of "Boy Meets World" with "Girl Meets World", staring Cory and Topanga's daughter in the titular role, then why CAN'T they make new Duck Tales cartoons? They have done absolutely nothing with this franchise in decades. @berenlazarus To be fair, this project and the D&D one are 100% spearheaded by Capcom USA. Mega Man's multiple cancellations and general bad business practices are all thanks to Capcom Japan. If Capcom USA finally has more power to do things like this, then I'm personally thankful for it. Uhhhh... oh wow.... I had no idea this would come to be. How about in the meantime we get some original Duck Tales for either Wii U or 3DS's VC's? Please? I couldn't believe the news when I saw it. I immediately looked for the news on other websites. "IGN? Check. NBC News? Check. Nintendo Life? Check. OMFG This is really happening!!!" I'm literally giddy. I can almost forgive Capcom for killing Resident Evil and selling on-disk DLC! Best video game demo clip ever. Ever! Yay! I wonder if this bodes well for a VC release of the original? @ThreadShadow: Theres another article here on NL that says that No the deal with Capcom and Disney is only for this game and not the rerelease of the older games. This is the best gaming news I have heard in a long time. This looks great. I still have the portable Game Boy edition. What I still do noy get, though, is what happened with the other two nieces. There's only one of them and Huey, Dewey and Louie. And why did they replace Donald's role in the comics with that pilot dude? Correct me if I'm wrong, but I don't think Webby was a niece. She was the grand-daughter of the maid (can't remember her name), right? @Rensch And why did they replace Donald's role in the comics with that pilot dude? >> launchpad mcquack? yeah, i wonder about that as well.